If Oprah can do it so can I! Here are some of my favorite things to give and to receive. Like this one from Wascana Flower Shoppe. It’s a great present for the couple on your list who has everything but you still want to show how much you appreciate and care about them. If you’re crafty and creative you can even put one together yourself. 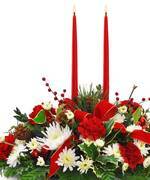 Now they’ll have a beautiful arrangement for their table. It also had the added bonus of being disposable. All they have to do is toss it when it’s done! This is an extravagance at $24 a bottle but I makes my list every year. I love it and I have to thank my sister because it was her gift to me one Christmas. I’ve used it ever since. If you have anyone on your list who wears eye make this is the gift for them. And something they might not buy for themselves because of the price. You don’t need to use a lot to get the job done. 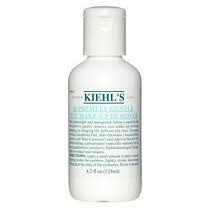 It lasts for a decent amount of time, especially if you don’t use eye makeup everyday like me. A basket of breads from our local bakery, The Orange Boot. Again, has the added bonus of being useful and disposable. And SO yummy and delicious! And, of course, you could make the bread yourself and gift it. If, you know, you have a talent for that kind of thing, which I don’t. 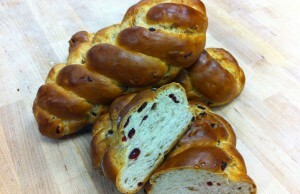 These Cranberry Walnut Braids are absolutely the best. 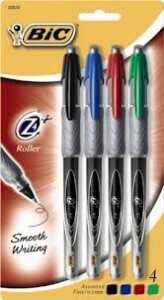 BIC Z4+ Rollerball Pens. You might be a Nerd Girl if you love these pens. These are my favorite pens of all time. Whether it’s writing lists or scenes for a novel, these pens make writing fun. I kid you not. It’s true. And they make a great stocking stuffer! And of course, books. But I figure that does without saying. We have a traditional in our house of giving everyone pajamas and a book (or magazine) on Christmas Eve night. We started this when our kids were little to help them get to sleep after too much food and treats and to combat the impending excitement of Christmas morning. Picking those books out is still one of my favorite things! What are some of your favorite things to give and receive? She’s not only a friend and a wonderful writer but a mentor as well. I’m very excited to have Lesley-Anne McLeod here today to give us a peek into a Regency dining room! 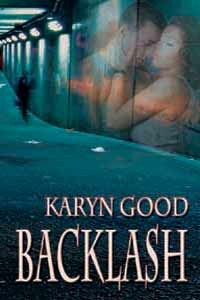 As a writer of historical romance (in my case, Regency romances) I am always learning about my favourite history era, which is that of the Regency period in England from about 1800-1830. For research, I frequently use Google Books to find actual books and magazines from the period. Cookery books are among the most interesting to read, for styles in food and food service have certainly changed in two hundred years. One book I have particularly enjoyed is The London Art of Cookery by John Farley Formerly Principal Cook at the London Tavern. It was published in 1811. Many of the dishes require no explanation: custards, ham, broccoli, turkey and even oysters are not far from our everyday cooking. But some items are unusual to say the least. Scotch Collops are a cut of veal “the size and thickness of a crown piece”, done up in a mushroom, anchovy and lemon sauce. Beef Olives are rolled rump-steaks cooked with fat bacon and served with a gravy containing port wine, cayenne and ketchup. Tongue and Udder caused me to shudder; they were parboiled and then roasted with cloves. Almond Soup contained veal and mutton as well as almonds and cream. “‘Silver Web’ was a spun sugar decoration for sweet dishes and puddings. It was considered very elegant indeed. 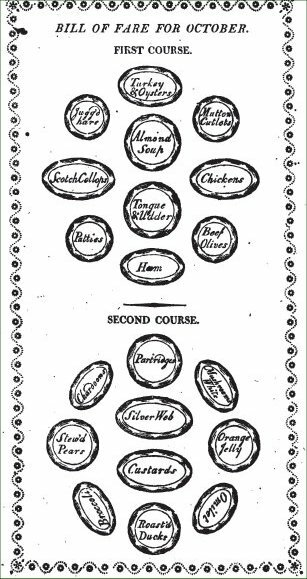 There are recipes from the mid-eighteenth century, but here is one from 1846 – the method did not change, and this cookery book is available on Google Books, in case you want to look it up. The Gold Web sounds gorgeous too. Boil clarified syrup to the crack, using the same precautions as before observed, giving it a few boils after the acid is added; dip the bottom of the pan in water and let the sugar cool a little; then take the handle of a spoon, or two forks tied together, dip it into the sugar, and form it either on the inside or outside of a mould, with very fine strings, by passing the hand quickly backwards and forwards taking care that it does not fall in drops, which would spoil the appearance of the work. With this may be represented the hair of a helmet, the water of a fountain, &c. Take a fork or an iron skewer, and hold it in your left hand as high as you can dip the spoon in the sugar, and with the right hand throw it over the skewer, when it will hang from it in very fine threads of considerable length. My next book will host a very fine Regency feast–though it might not include Tongue and Udder! 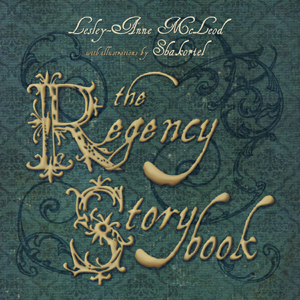 My newest release The Regency Storybook contains twelve stories and twelve illustrations by my favourite artist, Shakoriel, but very little mention of food, other than tea and biscuits. Merry Christmas to you all, and do enjoy your Christmas dining. I love cheesy movies. I don’t need to tell you that wine goes good with cheese. Everyone’s already aware. But if you’re looking for a recommendation try Wonderwall, a lovely Shiraz out of Australia. Delightful. Now, onto the cheese. I could also add an addendum here about falling for Alan Rickman. 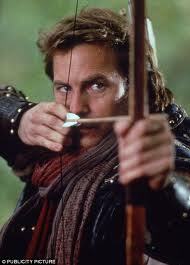 Because my pick for best cheesiest feel good movie ever is Robin Hood, Prince of Thieves. With Kevin Costner. I never got tired of watching it. There’s something about prowess with a bow and arrows that is very appealing. Maybe I have tree house envy. For an exiled group of outlaws, they built an incredible fortress in Sherwood Forest without access to anything. Like a Home Depot. Or Lowe’s. Or nails. And they way they got the blacksmithy up and going and manufactured all those swords was nothing short of a miracle. 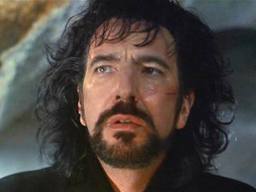 And then there’s my love for Alan Rickman. See how I tied that all in together? And also because Robin Hood is one of my favorite stories. I also loved the recent Russell Crowe version. But that’s another blog post. Which I wrote but can’t find. 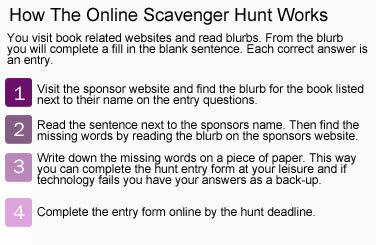 Let’s start with the Sheriff of Nottingham, should we? Yep, he’s a badass. In the best, cheesiest way possible. We won’t get into Kevin Costner’s sometimes-it’s-there-and-sometimes-it’s-not accent. He’s still adorable as Robin Hood. I’ve seen knights in armor panic at the first hint of battle. And I’ve seen the lowliest, unarmed squire pull a spear from his own body, to defend a dying horse. Nobility is not a birthright. It’s defined by one’s actions. I swoon in the face of such clarity of thought. For a member of the aristocracy he’s quite liberal in his thinking. I guess fighting with King Richard all those many years and then escaping as a prisoner of war gives one perspective. And let’s not forget his I would die for you line. More sighing ensues. Then there’s Morgan Freeman. Whom I love. Because he’s Morgan Freeman. And he has that excellent voice. He could be reading instructions from a shampoo bottle and I’d still listen. Are you with me? 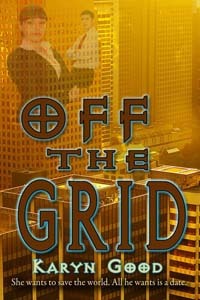 Or do you have your own pick for best, cheesiest movie ever? Thanks so much for having me here today, Karyn—I love any chance to discuss food. 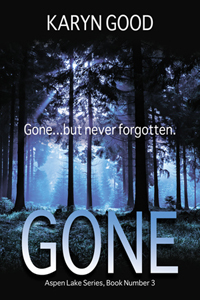 And of course, any chance to discuss my book! 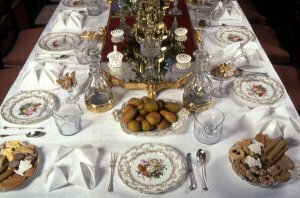 When I was writing Loveland, I had to create one scene in which Lady Alexandra, my English heroine, was hosting a dinner party. There she is, out in the middle of the Colorado prairie, with none of the modern conveniences of grocery shopping. Since I do my own grocery shopping on-line and get it all delivered to my door, it was quite a comparison to think of poor Lady Alex whose only ‘delivery to her door’ was a freshly shot animal on the hoof. Talk about Fresh Direct…. Alex, however, was better off than most; she had a cook who would have been thrilled at the opportunity to display her culinary skills for the gathered company. 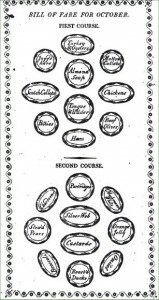 And that cook, most certainly, would have owned a copy of Mrs. Beeton’s Book of Household Management, published in 1861. The book starts by saying it comprises information for “the Mistress, Housekeeper, Cook, Kitchen-Maid, Butler, Footman, Coachman, Valet, Upper and Under House-maids, Lady’s Maid, Maid-of-all-work, Laundry-maid…” Well, you get the picture. Although very few of us now run the sort of household that this encompasses (certainly coachmen are rather sparse on the ground), when I emigrated to Britain in the early ’70’s Mrs. Beeton’s book was still a standard tome in most households—at least the reprinted recipes were. It is to Mrs. Beeton that we owe the standard form of recipes with ingredients listed first, before directions. Mrs. Beeton was also full of good advice, such as the fact that cherry laurel, more commonly known in cookery as bay leaves, when acted upon by water develops prussic acid—more commonly known as a form of cyanide! Mrs. Beeton’s recipes were, of course, very much geared to the foods commonly available and consumed in the Britain of 1800s. Grouse, hare, partridge, green geese, leverets, plovers, rabbits, wheatears, snipe, pheasant, capon, larks, teal, widgeon, blackcock (don’t ask), and venison all receive positively lyrical treatment. Of venison Mrs. Beeton wrote, “Far, far away in ages past, our fathers loved the chase, and what it brought, and it is usually imagined that when Isaac ordered his son Esau to go out with his weapons, his quiver and his bow, and to prepare for him savoury meat, such as he loved, that it was venison he desired.” I did have Lady Alex and her guests sit down to venison, a meat we still enjoy today, although I doubt she or anyone else ever considered Isaac and Esau in her menu-planning. Desserts, on the other hand, are more translatable to the modern age. With Christmas coming I thought back to my early days in Britain and a few of the Christmases spent there. Christmas Pudding would not go down well with the Americans not raised on it. Of a somewhat sticky consistency, it is, in any case, mixed months in advance with a great deal of fruit, boiled or steamed on the day, and then set on fire with a good dousing of Brandy. The well known pudding, Trifle, was another idea but I figured that was far too complicated, if made correctly, with so much else going on. It necessitates cake fingers, a proper custard often called crème anglaise, candied fruits, and whipped cream. While in Britain cooks often take shortcuts such as buying pre-baked cake fingers and using custard powder to mix for the sauce, the results are never as tasty as when a proper custard of eggs and cream is made. So then I remembered Syllabub. 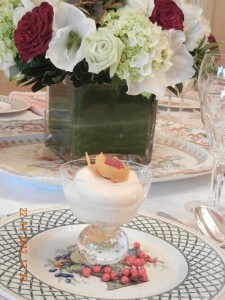 Syllabub originated in Tudor times, an era when the word ‘cholesterol’ was completely unknown! The alternative spelling of ‘sillabub’ may indicate a relation to the French town of Sille where champagne is made. I had often heard that Syllabub was, indeed, made with champagne but have never found a recipe to include this. Mrs. Beeton uses white wine or a combination of sherry and brandy. I’m not sure that the actual alcohol one chooses is of importance as long as it is relatively sweet, and preferably fortified. My own choice is for Madeira. One thing, however, is consistent: Syllabub, which was originally served in champagne glasses, is still generally served in a glass dish. Enjoy! Lightly whip the cream. Add remaining ingredients as you continue whipping until cream stands in peaks. Fill glasses, perhaps decorating with an extra grating of lemon and orange peel or a berry or glacé cherry to make it festive. Chill. Makes approx. 6-8 servings depending on size of your glass. My thanks to my sister-in-law, Robin Wachtel, for the loan of her very elegant table and dishes to display my Syllabub. 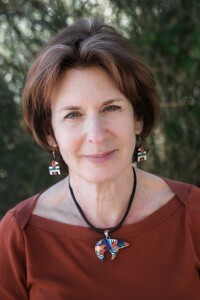 Photograph of Annabelle Wachtel taken by Catherine Megret Wachtel, with thanks. 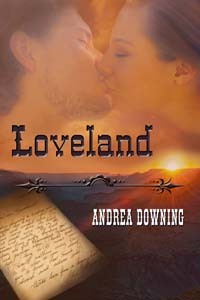 If you’d like to know a bit more about Loveland, here’s the blurb. 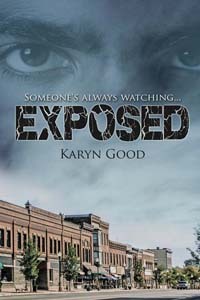 For now, thanks once again for having me, Karyn. 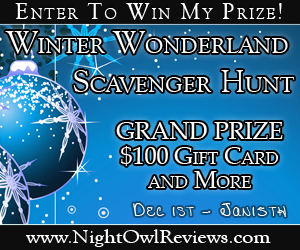 Starting today, December 1st, and ending on January 15th, Night Owl Reviews is hosting The Winter Wonderland Scavenger Hunt! 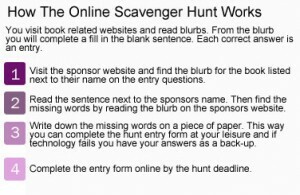 There are 15 great prize packages.